Summary: Erickson Consulting Engineers (ECE) provided civil and coastal engineering services for design, engineering, permitting and construction documents for a system to re-route and treat existing stormwater via a discharge pipeline terminating at a nearshore water location (18 ft water depths) approximately 2,400 ft into the Gulf of Mexico. ECE conducted all planning, design, permitting and engineering services for the directional drilling, diffuser and anchoring system for the pipeline. 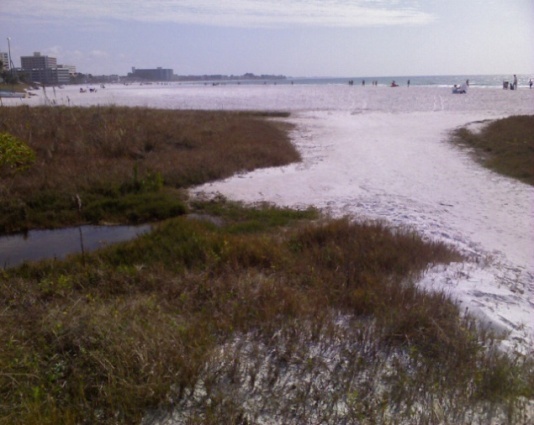 The project was designed to alleviate the County’s flooding problems and periodic water quality violations at a top Florida tourist beach on Siesta Key. 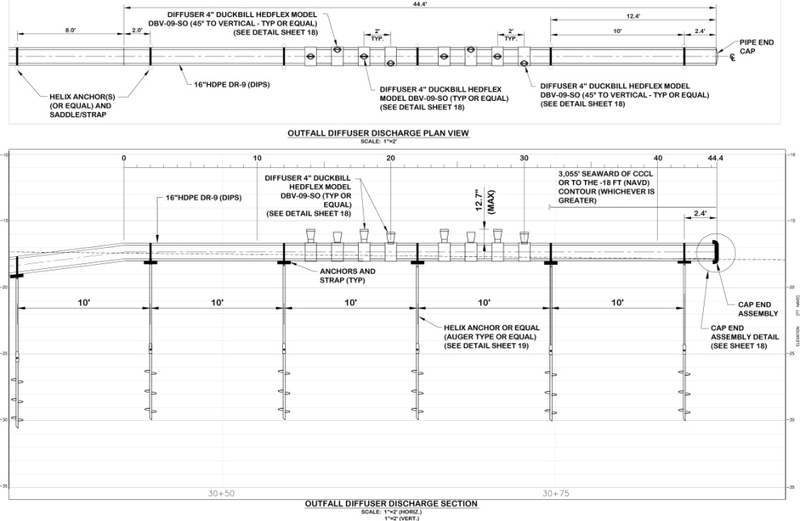 Design changes were made to a previously permitted retention pond, pump station, discharge filtering and UV treatment system. Sarasota County collected water samples on a monthly basis and after major rainfall events within the vicinity of this outfall. These samples are available in the County’s “Water Quality Sampling, Analysis and Reporting Procedures Manual”. This data served as the basis for the treatment system design to remove suspended particles and harmful bacteria prior to discharge to the Gulf. This facility serves an approximate 60-acre drainage basin and is designed for water quality treatment. The treatment levels provided at this facility are substantial compared to the State of Florida stormwater runoff treatment requirements. Challenges: Stormwater discharge pipelines are not common to Southwest Florida, creating unique permitting challenges for the project. ECE coordinated closely between the Florida Department of Environmental Protection, the Southwest Florida Water Management District and the Army Corps of Engineers to facilitate the regulatory process of this pipeline permit.